You will experience true wilderness – Unlike most other operators, our trips are run on one of the last true wilderness areas of the Orange River. No roads, no people, just you and nature. This may seem intimidating but we can promise, it will be a life enriching experience! It’s excellent value for money – Once you arrive at base camp, there are very few additional costs – all meals and sundowner snacks are included from when you arrive to when you leave; camping fees, logistics, guides, equipment…all included. And, since there are no distractions whilst you’re on the river, there’s no pressure to indulge in extras that you don’t need. You may want to indulge in a drink from the base camp bar or leave a tip for your guides but that’s about it! FUN! There are a number one reason for going on holiday. 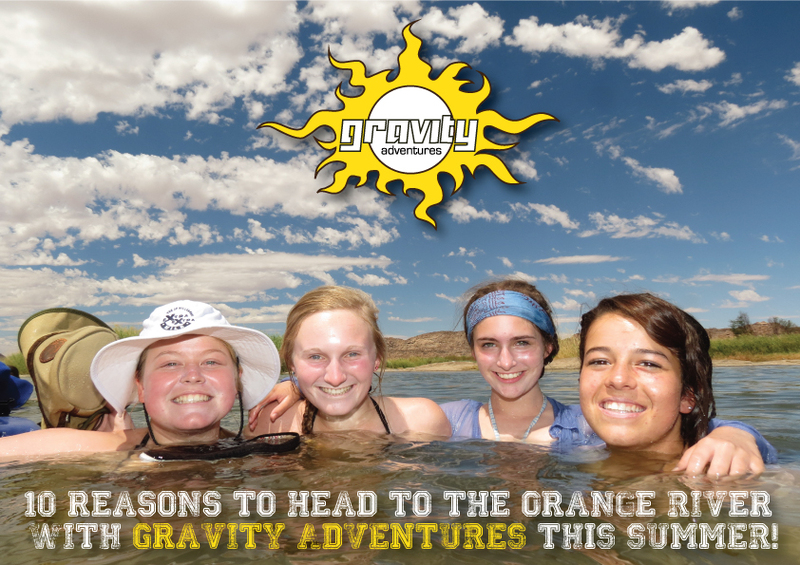 A rafting trip has something for everyone: endless swimming, tanning and socializing, rapids and rock jumps (all optional), no cooking for 5 straight days! Fishing, stargazing, birding, hiking, paddling and surfing in the rapids, lots of time to catch up on reading…the list goes on. Family time is part of the package – When last did you spend some real time with your family with none of the distractions of modern life? Work, school and technology make it difficult but a multi-day rafting trip gives you all the time and space to reconnect. You will feel less stressed – Journeying along an ancient river, through an untouched desert landscape is a complete escape from reality. The quietness of nature lets you relax and leave all your worries behind you, especially when the river is slow-moving. In this moment, you can bask in the feeling of peace. And then, when the current picks up again, you can work off even more stress with some good old-fashioned paddling! And the effect is long term – a rafting trip fosters reflection, allowing us to remember and relive the feeling we had on the trip long after it’s over. It’s great exercise! While it’s not necessary to be an athlete to enjoy our trips, you can be guaranteed that you will use muscles you never knew you had! Paddling is an excellent upper body and core workout and, for those who are keen, adding hiking, swimming and beach games to the mix means that you will be using your body all day long – something we don’t get to do very often. You will have a real sense of accomplishment – OK, so you may not have summited Kili, but 4 days of wilderness camping and paddling yourself down the river is still worth celebrating. And, if you conquer Big Bunny rapid, you’ll have boasting rights forever. You will feel better about yourself – Completing a multi-day wilderness rafting trip leaves you with a feeling of accomplishment and an increased sense of confidence. Depending on the difficulty of the river, the task may seem challenging, but once you complete it, the feeling of achievement is intoxicating. You will feel the change in yourself, giving you the confidence to overcome many other challenges. It’s addictive! – Get out of the day-to-day routine and step away from your comfort zone. Adventure is good for the mind for a multitude of reasons, many of which have far reaching effects, even after we return home – it sparks our urge to explore, it increases our tolerance for uncertainty, it develops our independence and it actually makes our brains bigger! Whitewater rafting guarantees a release of adrenaline. And immersing yourself in a spectacular natural environment feeds the soul – you’ll want more! Life is a Journey, Enjoy the ride – The trip down the river is just the surface journey. Even if you’re not into psycho-babble, we know that you will experience a gradual process as you journey down the river. You will start to find yourself again and you’ll start to think about where you are in life and where you want to be. Bonus reason! – No passports! no need to gross the border with Gravity Adventures – Everything is run on the South African side of the Border. Gravity’s founders and owners, Andrew and Marie-Louise Kellett, have two kids – Camdyn, aged 15 and Summer, aged 11. They have been running rafting trips on the Orange Gorge since 1997. They understand the challenges and rewards of adventure travel with kids and their aim is to allow families to experience this life changing trip in a safe and fun way.